Mike is Sales Director at the One Click Group, providers of umbrella and accountancy services for contractors and freelancers. One Click is UK based, service and compliance focused and Mike says he is trying to re-invent the umbrella company, one day at a time. Mike’s background is in financial services where he worked with the likes of Commercial Union and Prudential Assurance before becoming an Independent Financial Adviser, specialising in advising companies and high net worth individuals on pensions, investment and estate planning. Over the past 8 years he has worked with some of the UK’s largest and most well respected umbrella and accountancy firms before joining One Click to grow the business, building relationships with recruitment agencies, strategic partners and end users. 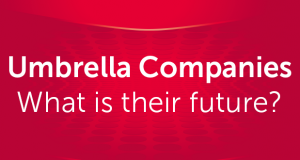 With the umbrella industry in the spotlight and with pressure on offshore providers being ramped up, Mike is an outspoken champion of the compliant companies that provide a valuable service for the flexible workforce that is essential for the economic success of the UK. Mike can advise on the Agency Worker’s Regulations, IR35 and legislative issues surrounding the use of temporary workers, either by recruitment agencies or end hirers. Compliant Umbrella companies provide a valuable service for the flexible workforce that the UK depends on.